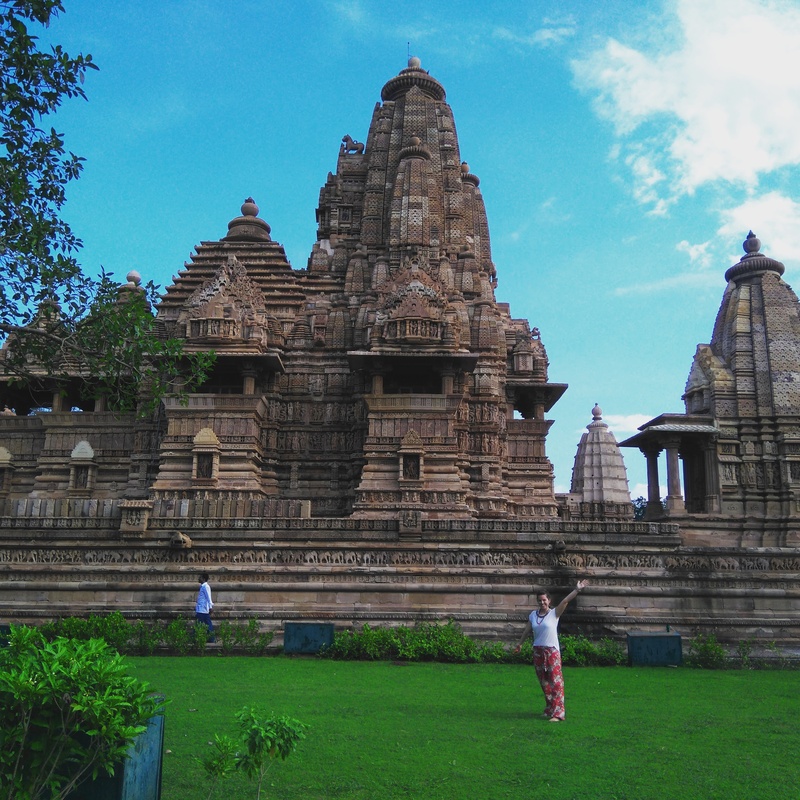 Taj Mahal, Karma Sutra Temples & The Holy River – The Eternal Gap Year! After dressing in saris and getting 1000s of pics taking at the Taj Mahal (I do wonder if people thought we were famous or just a bit crazy; the latter is spot on) we departed Agra and headed for our next destination, Khajuraho. We hadn’t heard much about this place other than it was home of Karma Sutra Temples so, putting our awkward prudishness aside we headed there. The small town brought a much welcomed tranquility following our intense stops so far. The pace of life seemed slower and people generally seemed to be a bit more genuine. I suppose this is what you get in clutchy land anywhere in the world, Ruth felt right at home! The Karma Sutra temples were a bit more stuble than we were expecting, in fact we found ourselves looking for the dirty stuff to be sure we were in the right temple! Following an action packed few days visiting temples, waterfalls, a dance show and getting an Indian head massage on the rooftop at sunset (we really deserved it) we sat off on yet another overnight train to Varanasi, the holy land. 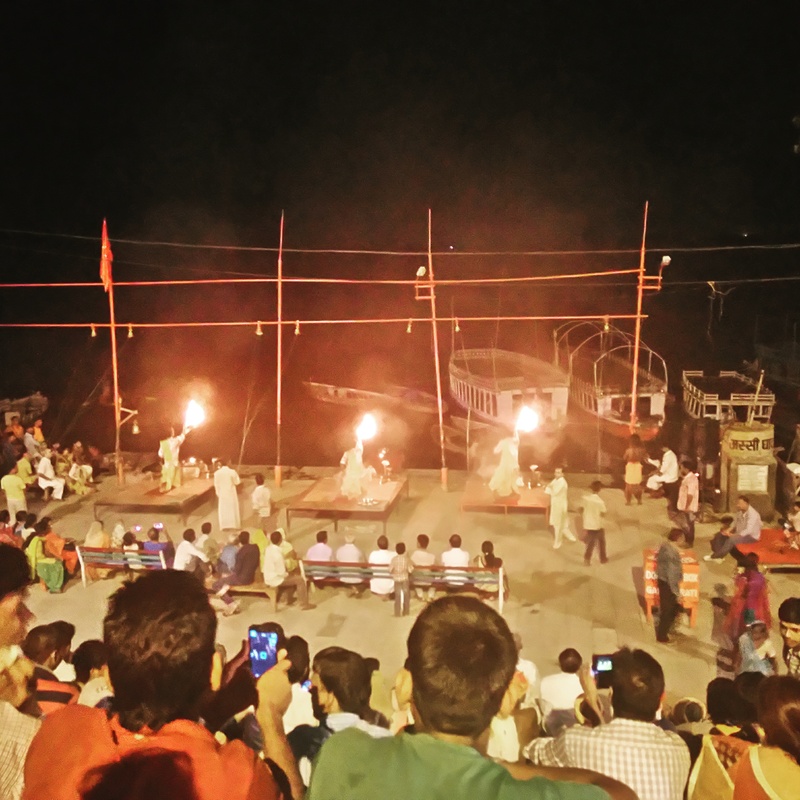 I remember seeing Varanasi on an idiot abroad with Karl Pickington taking the piss of the whole burning bodies, scatter Ashes into the Gange River process; I was intrigued to see it for myself. 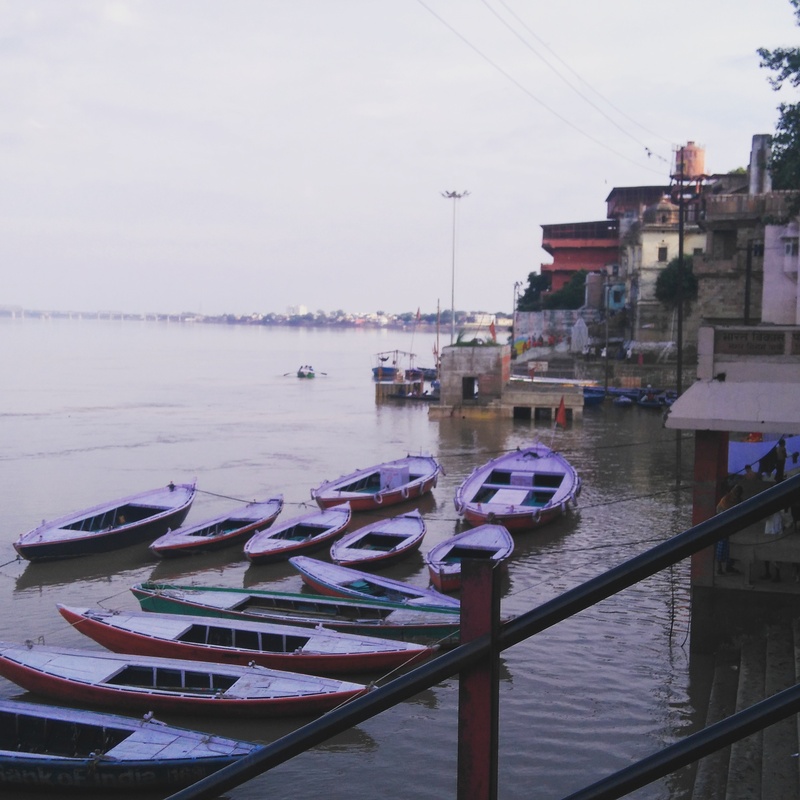 Arriving in Varanasi was like jumping into a deep freezing water after chilling in a jazucci! I think we hadn’t realised but through those few days in the peaceful countryside we had let our guard slip and so got a shock to the system when we stepped off the train. Noises, smells, people, poverty all hit us up the face while we were still wiping the sleep out of our eyes. A little girl no older than 3years old pulled at us for money. This hasn’t been an uncommon occurrence on this trip but is something that I haven’t become immune to, neither do I ever want to. While we went through the same process of negotiating prices with tuk tuk drivers to take us to our hostel, this extremely thin, dirty faced, bare foot child followed us. The ongoing internal battle of giving kids money continues in my head. Many say these children are sent to beg, they don’t get the money and the more you contribute the more it pays for the ring leaders to send kids out to beg. Where possible giving food or other goods is probably the most beneficial contribution. But when caught off guard it’s often a quick decision which determines how the brief interaction with the child goes. By the time we got to our tuk tuk this child had followed us the whole way, quiet a distance from where she first joined us. I looked around the see if an adult or older child was watching her, sadly I seen no one. I allowed my brain to imagine the worse case scenario of risks this little girl is exposed to by following random people in any direction or distance they lead her, with this thought I felt very sad. A child has absolutely no choice or responsiblity for the life they are born in to yet they are left with the consequences. Human instinct in us all is to survive, I guess if you have been fighting to survive everyday since birth you would become pretty good at it. I give this little girl the note I had in my pocket, I don’t know if this was to relieve my own guilt. She smiled and moved onto the next crowd of whites. As we drove away, packed in our tuk tuk like sardines I kept my eyes on her and wondered what does her future look like. Does she get to a certain age and brought off the streets to go to school? Doubtful. Will she, like thousands of other kids be exposed to the tough realities of life on the streets; drugs, prostitution, a life of begging…… Impossible questions to be answered. Dealing with the levels of poverty in India was a selfish but very real concern I had about visiting. Without the safety net of working with a charity this experience is very different to others I have had in poverty shrunken countries. Walking around as an outsider seeing the rawness of extreme poverty, feeling overwhelmed and powerless all at the same time and leaving feeling a level of despair certainly isn’t a relaxing holiday but an exceptional experience nonetheless for which I am extremely grateful. So Varanasi was an insane place! Known as the holy city, it seems it’s is many Hindu’s life hope to visit the city, to pray and bath in the Gange River and, if very lucky be cremated at the banks of the river with Ashes being scattered in the river. It is tradition that children who have passed away, women who die while pregnant, people who die of leprosy or killed by a cobra snake are not burnt but thrown into the river with a break attached from a boat. I have lost three very important loved ones in the past few years, each of whom were cremated. Seeing my daddy sprinkle my uncle Tommy Ashes over St. Pauls chapel where they used to play as kids put a smile on all our faces. And watching my granny scatter my Granda’s ashes on a peaceful hill overlooking the sea and the Mourne mountains in the background so he has a great view brought us peace. I can only imagine the peace and joy that must be brought to grieving families with such strong faith when their loved ones are scattered in the Gange River. I think it is no great coincidence that having a strong faith goes hand and hand with extreme poverty. I have seen in various countries people holding onto a hope that the afterlife will be all the things that this life didn’t. This was once again very evident amongst the people of Varanasi. Almost the madness of the city, there were times I found great peace and spirituality along this river, when I wasnt dodging the 1000s of rats that roam every street!